Donald Trump's surprise win has millions of Americans, many of whom are black, in a tizzy. Many, such as Kareem Abdul-Jabbar, are writing about what it means to be black during a Trump administration even though Trump's presidency has yet to begin. My argument has always been that the political arena is largely irrelevant to the interests of ordinary black people. Much of the 1960s and '70s civil rights rhetoric was that black political power was necessary for economic power. But the nation's most troublesome and dangerous cities, which are also cities with low-performing and unsafe schools and poor-quality city services, have been run by Democrats for nearly a half-century -- with blacks having significant political power, having been mayors, city councilors and other top officials, such as superintendents of schools and chiefs of police. 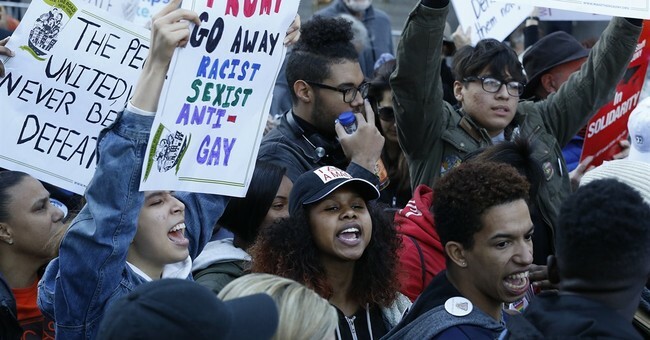 Panic among some blacks over the upcoming Trump presidency is unwarranted. Whoever is the president has little or no impact on the living conditions of ordinary black people, even when that president is a black person, as the Obama presidency has demonstrated. The overall welfare of black people requires attention to devastating problems that can be solved only at the family and community levels. Mountains of evidence demonstrates that outcomes are not favorable for children raised in female-headed households. Criminal behavior is greater, and academic achievement is much less for such children. This is a devastating problem, but it is beyond the reach of a president or any other politician to solve. If there is a solution, it will come from churches and local community organizations. Education is vital to upward mobility. Most schools labeled as "persistently dangerous" are schools with predominantly black populations. At many schools, students are required to walk through metal detectors and place their book bags and purses on a conveyor belt that goes through an X-ray machine. Armed police patrol the school to try to stem school violence. But even with a police presence, teachers, staff and students are assaulted. A policy that permanently removes troublemakers would make a greater impact on black education than anything a U.S. president could do. The fact that black parents, teachers and civil rights organizations tolerate and make excuses for the despicable and destructive behavior of so many young blacks is a gross betrayal of the memory, struggle, sacrifice, sweat, tears and blood of our ancestors. The sorry and tragic state of black education is not going to be turned around until there's a change in what's acceptable and unacceptable behavior by young people. That change could come only from within the black community. Using 2012 data from the FBI Uniform Crime Reporting Program, Law Street Media offers some sobering statistics in an article titled "Crime in America: Top 10 Most Dangerous Cities Over 200,000" (http://tinyurl.com/qeusjj4). The nation's most dangerous big cities are Detroit, Oakland, St. Louis, Memphis, Stockton, Birmingham, Baltimore, Cleveland, Atlanta and Milwaukee. The most common characteristic of these cities is that they have predominantly black populations. Another common characteristic is that for decades, all of them have been run by Democratic and presumably liberal administrations. Some cities -- such as Detroit, Buffalo, Newark and Philadelphia -- haven't elected a Republican mayor for more than a half-century.